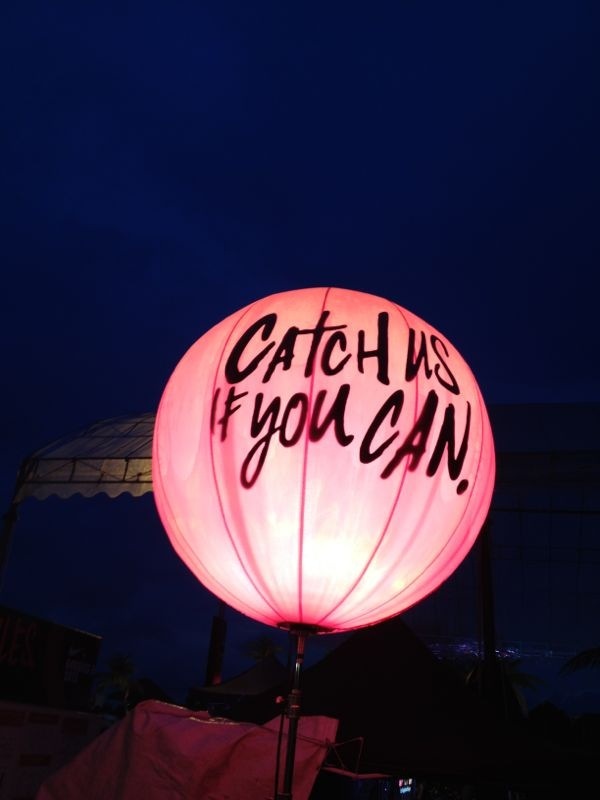 ← Pole dancing and blogging: Connecting old friends! Just so we’re clear, let me say it again: I’ve always hated running! One time on the way home from Paris, the husband and I had to make a mad dash to catch our connecting flight back to Singapore. Boy, was I pissed about having to run from one end of Schippol airport to the other on short notice! Back then, running seemed ridiculous and unnecessary. Uncivilized, even! But here I am now, having just completed my first 5km race on Saturday. With my mother! How did that happen?? Some time last year, the good people at Nike Singapore gifted my husband and I with some running gear. (We’ve worked with them long enough to become friends, in case you’re wondering.) good thing too, or else I wouldn’t ever have even bought shoes. 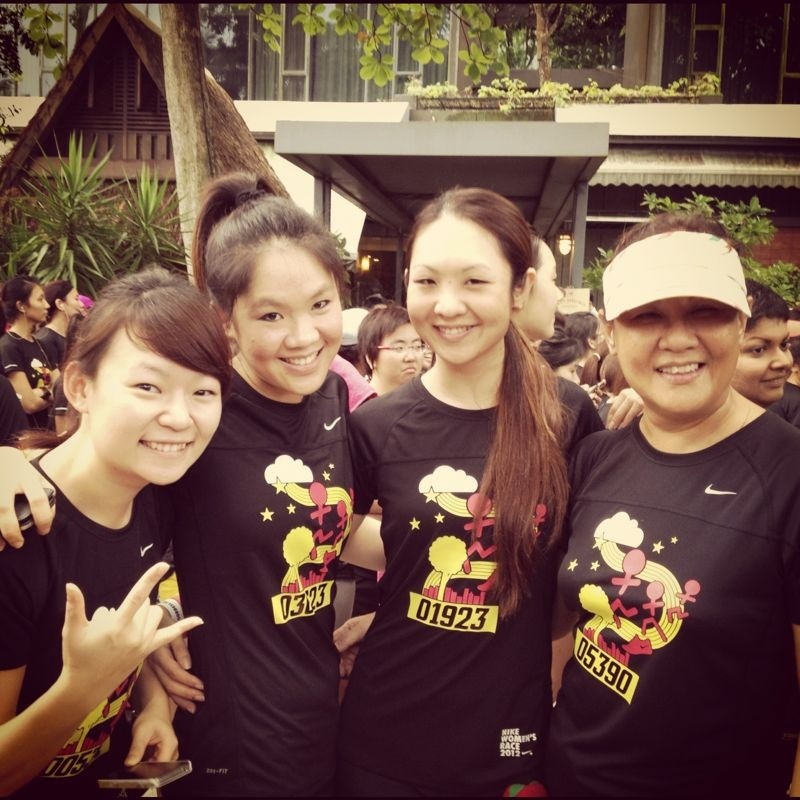 Since then, I began to reshape my relationship with running. I took baby steps, crawling a few rounds at the track behind our office at first, then shuffling around a couple of blocks in the neighborhood with the husband, and now I jog a 5+ km route every Wednesday night with him and a big bunch of running buddies. I’m still very slow, but the fact that I’m there at all is pretty amazing. The only catch was that it was a ‘BFF run’ so everyone had to sign up in pairs. The husband suggested I ask my mum, since she’d recently started jogging every morning before work. She's so happy she didn't come in last! 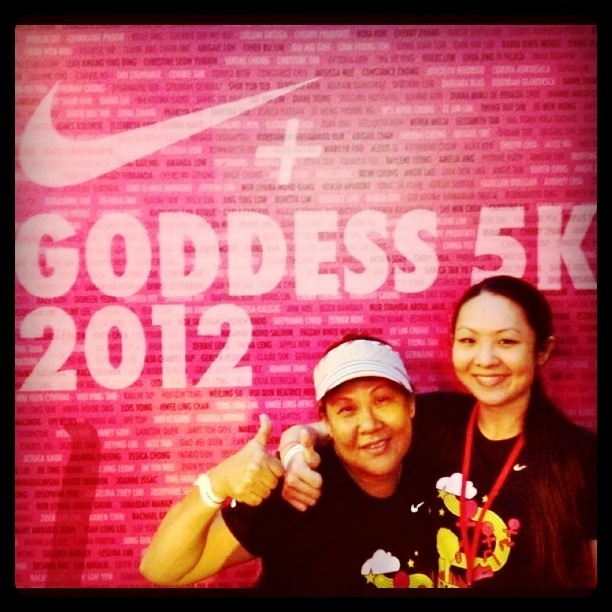 And that’s how I ended up completing my first 5km race with my very enthusiastic mother. I have to admit, I had moments of regret before the event, wondering what I’d gotten myself into and worrying that I would be one of the last few to finish. Turns out that my mum also worried about the same thing! She even confessed that she was so anxious the night before, she couldn’t sleep and got up at 5 in the morning! Well we didn’t have to worry, because both of us did very decently. 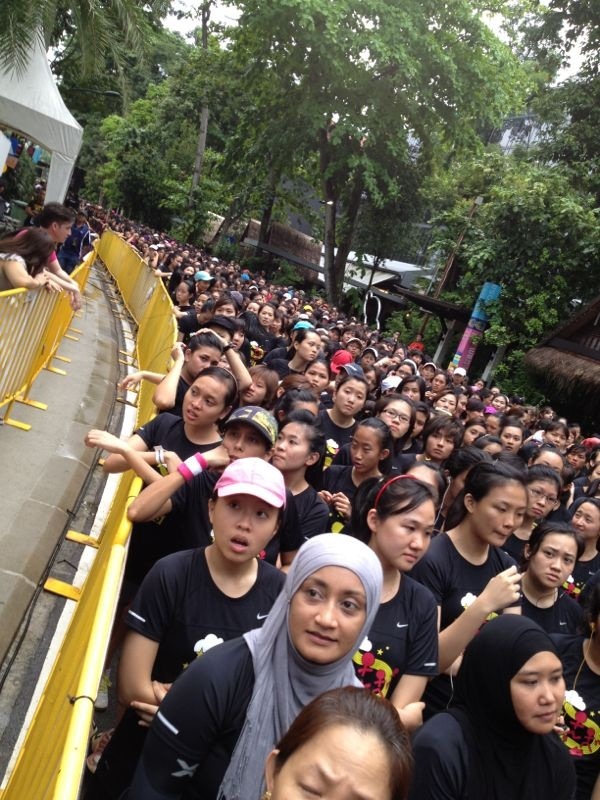 I was secretly really happy and relieved when I made it past the halfway mark U-turn point and saw that there were hoards more girls still running towards it. I tried to smile some encouragement to the ones who looked like they were having problems continuing, but most of them were too exhausted to notice. I haven’t run with so many other girls since I was in school, and it was really sweet to see some of the girls dragging their tired BFFs along behind them by the hand and not letting them quit. My only gripe was that the path was way too narrow to accommodate so many, and the only way to avoid getting knocked down by everyone trying to rush past each other was to continuously overtake as many people as possible. My mum and I got separated after a very crowded bottle neck area shortly after the first water point, which didn’t surprise us, but I found her shortly after crossing the finish line. The rest of the event was fun too. There were refreshments and entertainment for everyone, but the best part was that my husband, brother inlaw and cousin had come along to lend us their moral support. They took our photos, waited patiently for us, and we all had dinner after with more family. It’s still slightly surreal that I spent a Saturday running a race event with my mom, but I know it won’t be the last time.. We’ve already agreed to do the Nike Goddess run again next year, and this time my little sister will probably join us too! 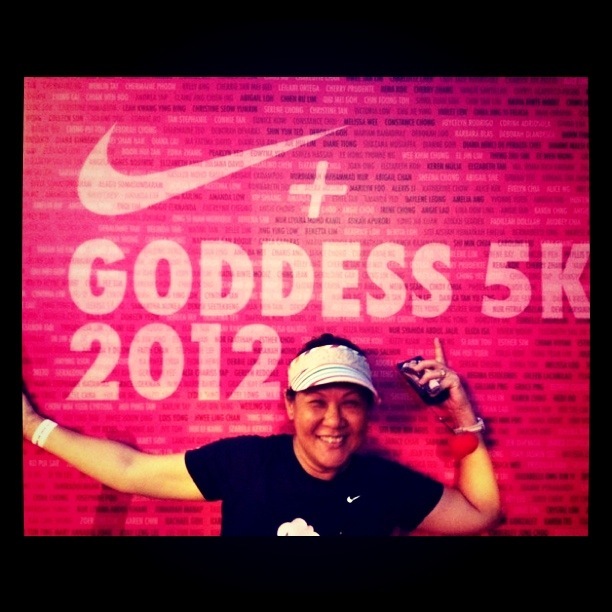 This entry was posted in Running my @ss off and tagged Nike Goddess BFF, Nike Marathon Singapore, Running. Bookmark the permalink. 3 Responses to Run, Goddess, Run! LOL! Wow Mrs SBTG ur mom looks damn happy in those photos! Heehee, thx 😉 Yea she was really happy that I brought her!